Cape Town is situated on the far South Western tip of Africa, about 1600 km from Johannesburg. Tourism in Cape Town peaks between November and March when the city lazes through mid summer. The Mother City has a bustling nightlife that includes restaurants of all kinds, and many clubs and pubs spread around the city. Cape Town is unique. It has an architecture and lifestyle which are broadly cosmopolitan yet quintessentially Capetonian. But that's just the physical base. The city has grown a soul and an adventurous spirit. With a diversity of people and landscapes - from the mountains, lush indigenous gardens to sandy beaches, the Mother City is the perfect place for the adventurous spirit to live out its wildest fancies. Cape Town has a Mediterranean climate. In summer it is usually pleasantly warm. The hottest days are often cooled by pleasant breezes or strong winds. The winters are cool and wet, but the temperature hardly ever falls below 10° C. Some of the cities more famous attractions include Table Mountain, which is also considered to be one the worlds most well-known landmarks, named by by Jan van Riebeeck on 6 April 1652 as he sailed toward what was to become Cape Town, the mountain is now a national monument and provides visitors with great entertainment and unforgettable Cable Car Rides to the top. Another of the popular attractions are the Kirstenbosch Botanical Gardens - a legacy from Cecil John Rhodes, who wanted to preserve Devils Peak and the eastern slopes of Table Mountain as a national Park. The 528-hectare park includes 6000 species of indigenous plants. Other attractions include many historical buildings still standing among the new skyscrapers, the Castle of Good Hope, Cape Point - the place of the Meeting of Two Oceans and Robben Island - which houses the old prison for political prisoners convicted during the apartheid era. Cape Town also boasts a magnificent night life, with a variety of restaurants of various cultures throughout the city as well as pubs and other night spots. It is also a great place for sporting enthusiasts, with some of the best diving sites in Kalk Bay and bathing spots along the many and beautiful beaches surrounding the area as well as sporting facilities of every kind throughout the city and suburbs - you'll never want for something to do. Pretoria was founded in 1855 and declared the capital of the South African Republic, which was the Boer republic in Transvaal. The president of the republic, Marthinus Pretorius, named it after his father, Andries Pretorius, who had become the national hero of the Voortrekkers after his victory over the Zulu kingdom in the famous battle at Blood River. The founding of Pretoria as the capital of the South African Republic marked the end of the Boers' settlement movements of the Groot Trek. The Boer War (1899 - 1902) resulted in the end of the South African Republic and of British hegemony over South Africa. The Boer Republics of Transvaal and the Orange Freestate were united with the Cape Colony and Natal to become the Union of South Africa. Pretoria became the capital of the whole of South Africa. 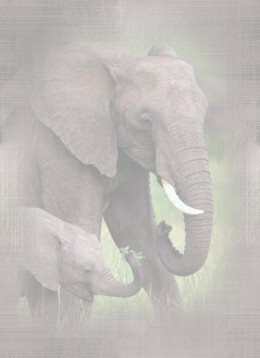 The administrative capital of South Africa, Pretoria lies about 50 km north of Johannesburg. The population, just under a million, consists mainly of officials, and in Pretoria life goes at a much slower pace than in the hectic Johannesburg. It is quite easy for the visitor to find his or her way through the city, which is laid out like a chess board. Pretoria lies at a level of 1367 m above sea level, which makes it about 400 m lower than Johannesburg. It is surrounded by protecting mountains. The climate is subtropical with hot, wet summers and relatively mild, dry winters. A relatively small city, Pretoria lies about 50km north of Johannesburg and is approximately three degrees warmer than its southern cousin. Although largely a government-based city, it is also a place of culture, with theatres, museums and monuments. Greater Pretoria is a city of science and technology, knowledge and industry in the true sense of the word. As the academic, scientific and technological capital of South Africa, the city has the most highly developed technology and research sector in Africa. Four universities and a number of scientific institutes, including the Council for Scientific and Industrial Research (CSIR) and the Onderstepoort Veterinary Research Institute, both internationally respected. Jacarandas throw a blanket of mauve over this, slightly, more sedate city. Even so, Pretoria boasts superb shopping centres, museums, art galleries and restaurants. There is also an abundance of open spaces ' Pretoria has more than 100 parks, including bird sanctuaries and nature reserves. The Pretoria National Botanical Gardens offer more than 5,000 indigenous plant species. Not far from there the Fountains Valley Resort, just outside the city offers walks, trails and picnic areas. The centre of the city, rich in history and architectural gems, houses the African Window Museum and Church Square where you'll find the Palace of Justice, the Old Capitol Theatre, the Paul Kruger statue, the Tudor Chambers the 'Ou Raadsaal' and the General Post Office, designed by John Cleland. Above the Church Square entrance is a clock surrounded by sculptor Anton van Wouw's. The city centre also offers the Museum Mall designed along the lines of the American Smithsonian Institute in Washington. To the south of the city centre up Paul Kruger street ' about a 20 minute walk ' is the Station Building, designed by Sir Herbert Baker, who also has, to his credit, the Union Buildings. Close to that is the suburb of Burgers Park, including Melrose House, a fascinating museum which warrants a full mornings visit. Burgers Park has many villas built from the wealth acquired from the boom on the Witwatersrand gold field during the 1880s and 1890s. A few blocks north of the city centre is Marabastad, where you'll experience the colours and hustle and bustel of Africa. There are fascinating shops like the 'muti' shops of the 'Sangomas' (traditional healers), cinemas and a mosque recalling the vibrant, cultural and religious life of Marabastad. Famous for its beauty and ingenuity in building construction, the Mariammen Temple stands witness to a once devoted Hindu community. About five city blocks to the east of Marabastad are the National Zoological Gardens. Backtrack south to Church Street (the longest urban street in South Africa), then go east and on the left, are the Union Buildings with their beautiful gardens and sweeping lawns. The massive building, started in 1901 and completed in 1913, cost 1,180,000 pounds Stirling. This is where you'll find the suburbs of Sunnyside, Arcadia and Hatfield ' the most popular areas for embassies, shopping centres, pretty lanes, beautiful old homes and the University of Pretoria. In fact, these are the most affluent and interesting suburbs of the city. Hatfield boasts bars, cafes, boutiques, sidewalk coffee shops and restaurants from which you can soak up the South African sun and watch the passing parade of students, artists, street artists and sidewalk traders selling stuff from all over Africa. About ten minutes from there, in the suburb of Arcadia, is the Pretoria Art Museum, the showplace for the finest South African (and often international) art. To the south, are the hilly, gracious and large suburbs of Waterkloof Ridge and Waterkloof Glen. Its here that the very wealthy reside, viewing Pretoria from their lofty homes. To the south of the city, and heading towards Johannesburg is Centurion, of note primarily for the Voortrekker Monument and its attractive parks. The first homestead in the Pretoria area was probably the home of J.G.S. Bronkhorst, who settled in the Fountains Valley in 1840. More Boer families put down roots around the nearby Elandspoort settlement. In 1854, two years after the Sand River Convention conferred formal independence on the territory north of the Vaal River, the residents of Elandspoort had the village proclaimed the ‘kerkplaas’ for central Transvaal. This made it the focal point for nagmaals, baptisms and weddings. The following year it became the township of Pretoria, which, at the time, consisted of about 80 houses and 300 residents. The initial full designation of the city was Pretoria Philadelphia (‘the brotherhood of Pretoria’) and it was not named after M.W. Pretorius, but after his brother Andries, victor of the Battle of Blood River. When Marthinus Pretorius failed to unite the Transvaal and the Orange Free State during his presidency he resigned and was replaced by Reverend Thomas Francois Burgers in 1870. Pretoria was declared the official capital of the independent Voortrekker republic of the Transvaal in 1860. Not long after its establishment it became known as the ‘city of roses’ because its climate encouraged the growth of rambler roses, which covered gardens and hedges all around the city. In 1888 J.D. Cilliers, a resident ad avid gardener, imported Jacaranda trees from Rio de Janeiro to plant in his Myrtle Grove garden. These trees flourished and as a result the city is now aptly known as the ‘Jacaranda City’, with about 50 000 Jacarandas lining its streets. The British annexed the Transvaal in April 1877, which resulted in a steady flow of immigrants and migrants. During the Transvaal War of Independence the British withdrew and Paul Kruger took over. 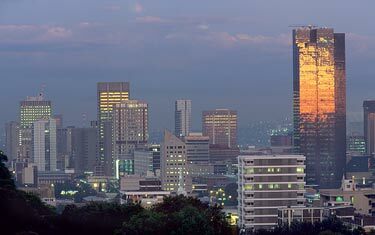 After the Anglo-Boer War Pretoria was named the capital of the new British colony and when the Union of South Africa was created in 1910 it became the administrative capital. When Mr. Sammy Marks, a well-known Jewish industrialist and close friend of President Paul Kruger, was allowed to build the town’s first synagogue he expressed his pleasure by commissioning the sculptor Anton van Wouw to produce a statue of the president. A plinth was erected in Church Square to receive the bronze figure that had been cast in Rome. Unfortunately the South African War broke out and the statue was held up in the then Lorenzo Marques. This resulted in the statue only being erected in 1854. after several changes of site. Church Square was redesigned as a tramway in 1910, much to the disappointment of many of Pretoria’s residents who had tried to convince the civic authorities to create a gracious area of fountains, gardens and Continental-style paving in order to showcase Pretoria as a city. Outside the city towers the Voortrekker Monument and the two massive forts, Klapperkop and Schanskop, built by the Boers to protect their capital against the British. Here you can also find the large and imposing buildings of the University of South Africa. Pretoria also has an abundance of museums including the Voortrekker Memorial Museum, Kruger House, the Transvaal Museum, Fort Klapperkop Military Museum, the National Cultural History and Open Air Museum, the South African Museum of Science and Technology, the Police Museum, the William Prinsloo Agricultural Museum and the Museum of Geological Survey. Another fine example of Pretoria’s early architecture is Melrose House, where the Peace Treaty of Vereeniging was signed on 31 May 1902. This, too, serves as a museum. The city also has several beautiful parks like Burgers Park, Jan Cilliers Park and Springbok Park. Other points of interest include the city’s five nature reserves, the National Zoological Gardens, the University of Pretoria, which was established in 1908, the Onderstepoort veterinary research institute and South Africa’s largest research organization, the Council for Scientific and Industrial Research (CSIR). Pretoria also has an advanced industrial complex, originally based in Iscor, which includes engineering, food processing and diamond mining. The First Anglo Boer War (16 December 1880 - 23 March 1881) is also known as the First Transvaal War. It was fought between Transvaal Boers (helped by volunteers from the Orange Free State) and British forces. The Transvalers fought the war to regain their independence from Britain, which they eventually did, first under a triumvirate of Kruger, Joubert and M. W. Pretorius, and then under Kruger as president. By that time, the government of the South African Republic (Transvaal) under President T F Burgers was virtually bankrupt. Burgers, who had lost much public support, was faced with further problems when war started between the republican authorities and the Pedi under Sekhukhune in the north?eastern Transvaal. In February 1877, Sekhukhune agreed to an uneasy truce, but Carnarvon had decided to take advantage of Burger's difficulties. Carnarvon sent Sir Theophilus Shepstone, the former Secretary for Native Affairs in Natal, to the Transvaal as special commissioner in January 1877. Shepstone, who was accompanied by a force of twenty?five police, received secret instructions from Carnarvon to annex the Transvaal 'if a sufficient number of inhabitants desired to become British subjects'. The attitude of the English?speaking inhabitants encouraged Shepstone. To the Boers he stressed the dangers that confronted a bankrupt republic, not only from the Pedi, but also from the Zulu. Burgers desperately tried to introduce reforms to retrieve the situation, but it was too late. Shepstone had decided that the majority of the inhabitants were in favour of British rule and that the Boers were, in any case, too divided to prevent the annexation of their state. On 12 April 1877, no resistance was offered when the Union Jack was raised on Church Square, Pretoria, and the Transvaal was proclaimed a British colony. Both Burgers and the executive council of the republic issued protests against the annexation. The mission of Paul Kruger and E J P Jorissen to London later in 1877 to try to persuade Carnarvon to renounce the annexation proved fruitless. Kruger and P J Joubert took a petition protesting against the annexation, signed by more than 6,500 Boers, the following year to London, but the British government remained adamant that the annexation had to stand. Shepstone and his successor, Sir Owen Lanyon, encountered many of the same difficulties that Burgers had experienced in administering the Transvaal and the Boers became disappointed at their tardiness in implementing promises of greater self?government. The war which the High Commissioner, Sir Bartle Frere, provoked against the Zulu under Cetshwayo, to increase British power and prestige in south?east Africa, had the opposite effect. Boer opposition, mainly led by Kruger, grew stronger but remained non?violent. A new phase was reached by 1880. The Boers had hoped that the election of the Liberal Party to power in Britain would change matters; and they were crestfallen when the new premier, W E Gladstone, also upheld the annexation. A direct clash between rulers and ruled occurred at Potchefstroom in November 1880 when a wagon belonging to one P L Bezuidenhout, which had been seized by the British authorities for non?payment of a tax, was retrieved by a commando under P A Cronjé. On 8 December 1880, a meeting of between eight and ten thousand Boers gathered at Paardekraal (Krugersdorp). The appointment of a triumvirate of Paul Kruger, P Joubert and M W Pretorius to take control, was followed by the proclamation of the restoration of the South African Republic, and on 16 December 1880, the Vierkleur was hoisted at Heidelberg. The start of hostilities. The first shots were fired at Potchefstroom; the same day (16 December) P A Cronjé tried to get a proclamation printed announcing Transvaal independence. The Transvalers had available a fighting force of approximately seven thousand men. The Orange Free State, under President J.H. Brand, officially remained neutral, but that did not prevent Free Staters fighting on the side of the Transvalers. When hostilities started, about 1,800 British soldiers were garrisoned in various towns in the Transvaal under the command of Colonel W. Bellairs. Shortly after the outbreak of war, Colonel Bellairs commanded Colonel PR Anstruther to march to Pretoria from Lydenburg with two companies of the 94th Regiment. On 20 December 1880, Anstruther's column had reached the vicinity of Bronkhorstspruit, east of Pretoria. When ordered to halt by Commandant Frans Joubert, Anstruther refused. The Boer commando from their well?chosen positions then opened fire with deadly effect. More than fifty British soldiers were killed and one hundred were wounded (of whom twenty?six subsequently died). The Boers lost one man killed and five wounded. Boer forces surrounded British garrisons in the Transvaal. In Potchefstroom Lieutenant?Colonel R W C Winsloe was in command of more than three hundred Britons in a small fort no larger than twenty?five metres square. Enduring great hardships, the force held out against sporadic attacks by P A Cronjé until it surrendered on 21 March 1881. In Pretoria, more than 2,000 armed Britons (regular soldiers augmented by volunteers) under the command of Colonel Bellairs and Lieutenant?Colonel F Gildea were besieged, without surrendering, for eighty?eight days until the war ended. Commandant D J E Erasmus first commanded the Boer commandos in the area. Subsequently Assistant Commandant?General H.J. Schoeman commanded them. Skirmishes between the rival forces occurred. On 6 January 1881, the British destroyed the Boer camp at Zwartkopje. Twelve days later, the Boers repulsed a British attack at Elandsfontein. On 12 February 1881, Gildea was wounded at Rooihuiskraal and the British force retreated to Pretoria. A further British force was besieged at Marabastad for the duration of the war. British garrisons at Lydenburg, Rustenburg, Standerton and Wakkerstroom were similarly prevented from moving out of these towns until hostilities ended. On both sides, casualties in all these sieges were light. On 24 January 1881, a British force of 1,200 men commanded by the Governor of Natal and High Commissioner for South?east Africa, Major?General Sir George Pomeroy Colley, started advancing towards the Transvaal border from Newcastle. To relieve the British garrisons and restore British authority in the Transvaal, Colley had to overcome Commandant?General P J Joubert's one thousand men at Laing's Nek. On 28 January 1881, Colley's attempt to break through the Boer lines at Laing's Nek not only failed, his force suffered heavy causalities: 83 killed and 27 wounded. Joubert sent General Nicolaas Smit and about 200 men to prevent British reinforcements linking up with Colley at Mount Prospect. Colley's attempt to keep open his lines of communication with Newcastle and northern Natal resulted in a fierce battle at Skuinshoogte (near Ingogo) on 8 February 1881. More than 70 British soldiers lost their lives and more than 60 were wounded, while Boer losses were ten killed and seven wounded. On the night of 26 February 1881, at a time when peace proposals were being suggested by both sides, Colley advanced with about 600 men to the point that he considered to be the key to the Boer position. Before daybreak on Sunday 27 February 1881, Colley's men, who had no artillery or machine guns, occupied the peak of Mount Majuba. The British force did not build fortifications or make effective entrenchments. Nonplussed, Joubert realized Colley's troops had scaled Majuba. He appointed Nicolaas Smit to command Boer volunteers to storm the mountain. Backed by fire from the foot of the mountain and making good use of cover, the Boers climbed the mountain and drove the British troops off Majuba. During this battle Colley was killed and the British force suffered heavy losses: 96 killed and 117 wounded, whereas the Boers suffered only two killed and five wounded. Peace and the Pretoria Convention. Since the outbreak of hostilities, President Brand had tried to bring the contending parties to the conference table. In January 1881, Kruger was prepared to support peace initiatives on condition that the independence of the Transvaal was guaranteed. On 21 February 1881, the British government in turn agreed that if the Boers laid down their arms, a royal commission would meet to effect a settlement. Owing to Colley's delay in forwarding the British message and the fact that Kruger was not in Natal, the Majuba battle occurred before further steps could be taken. On 5 March 1881, however, Sir Evelyn Wood and Piet Joubert arranged an armistice. Peace negotiations at O'Neill's cottage, midway between the British and Boer lines, resulted in the war ending on 23 March 1881. A royal commission drafted details of the Transvaal's new status and boundaries, which were formalized by the Convention of Pretoria on 3 August 1881. The republic, which was to be known as the Transvaal State, was given its independence subject to British suzerainty; that is, its foreign relations and its policy concerning black people in the state had to be approved by the British authorities. In 1883, Paul Kruger was elected President of the Transvaal for the first time. The following year he, S J du Toit and N Smit went to London to negotiate further with the British government. The London Convention of 1884 gave the republic a new western boundary and it was permitted to revert to its old name, the South African Republic. Any treaty entered into between the Republic and a foreign state had to be ratified by the British government, but the term 'suzerainty' was not mentioned in the London Convention treaty. Whether or not the South African Republic was still subject to British suzerainty remained a contentious issue until the outbreak of the Second Anglo?Boer War in 1899. The Second Boer War of Independence was fought between the Boer republics and the British imperial forces. Both the Boers and the British hoped that the war would be short and decisive. and entrenched a bitterness between Boer and British which was to endure throughout the twentieth century. It created the spectre of almost half a million troops of one of the most powerful industrial nations on earth bogged down by the commandos and guerrilla forces of what the British had belittled as backward and incompetent Boer rural states. The battle "to the bitter end..."
The majority of Uitlanders left the Transvaal. Some went voluntarily, others were compelled by the authorities to abandon their homes. The two Boer republics mobilised some 32,000 of the 54,000 men who were liable for military service. The bulk of the republican forces were sent to the Natal front, while other commandos were sent to the western, southern and northern borders of the republics. The Boer mounted citizen army was well armed with Mauser rifles and bolstered by professional artillery corps that had Krupp howitzers and formidable long-range Creusot field guns at their disposal. At the start of the war, Boer forces outnumbered the British army of approximately 27,000 men scattered throughout South Africa. Boer strategy was based on invasions of the British colonies to forestall attacks by imperial troops on the republics, but the decision to besiege British garrisons was to lessen the impact of the Boer offensive. The first shots of the war were fired at Kraaipan, beyond the south-western border of the South African Republic on 12 October 1899. The first battle of the war at Talana, near Dundee on 29 October 1899, was indecisive, although the commander of the British force, Major?General Sir William Penn Symons was fatally wounded. The following day at Elandslaagte Boer commandos suffered severe losses after British cavalry charges and the Transvaal general, J H M Kock lost his life. On 30 October 1899, called 'Mournful Monday' by the British, the Boers gained a resounding victory at Modderspruit and Nicholson's Nek. General Sir George White and his force retreated to Ladysmith, a town Joubert was besieging. When Boer commandos surrounded British forces under Colonel R G Kekewich, Kimberley's inhabitants (including Cecil Rhodes) were also subjected to a siege. Further north a third town, Mafeking, was besieged. Here, Colonel R S Baden?Powell was in charge of the defences. General Sir Redvers Buller, who had been appointed British commander-in-chief in South Africa at the outbreak of war, arrived at the end of October 1899. Buller took charge of the Natal army to attempt to relieve Ladysmith, while Lieutenant-General Lord Methuen and Lieutenant-General W F Gatacre controlled forces in the Cape Colony. In December 1899, during the so-called 'Black Week' all three of these British forces suffered heavy defeats. General J H Olivier got the better of Gatacre at Stormberg on 10 December. The following day the clever tactics of General J H ('Koos') de la Rey and General P A Cronjé in digging trenches at the foot of the koppies led to Methuen's reversal at Magersfontein. Buller himself, whose force suffered heavy losses at the hands of General Louis Botha at Colenso on 15 December 1899, incurred the most serious setback. Buller's lack of success (and of resolution) led to the British Cabinet appointing Field Marshall Lord Roberts as commander-in-chief and Major-General Lord Kitchener as chief of staff on 16 December 1899. Buller remained in command of the Natal front, where he suffered further defeats at the hands of Botha at Spionkop on 24 January and at Vaalkrans on 7 February 1900. On 10 January 1900, Roberts and Kitchener, together with large troop reinforcements, arrived in Cape Town. Roberts, despite rumours of a rebellion in the Cape Colony and Buller's failures in Natal, decided to keep to his plan to advance through the Orange Free State. On 15 February 1900, a section of his force under Major?General J D P French relieved Kimberley. On 18 February, during Roberts's temporary absence because of illness, Kitchener launched a reckless frontal attack on Boer positions at Paardeberg that resulted in heavy British casualties. General P A Cronjé, encumbered by a wagon train and the presence of women in his laager, was in a hopeless position, and on 27 February 1900 (the anniversary of the battle of Majuba), he surrendered with 4,000 men ¾? the most crushing reversal either side had suffered to date. Boer prisoners were sent out of the country to St. Helena as prisoners of war and subsequently they were sent to camps in Ceylon, Bermuda and India. On 27 February, Buller at last succeeded in breaking through the Boer lines at Pieters Hill and the following day Ladysmith was relieved. After the battle of Paardeberg, the Boers were unsuccessful at Poplar Grove (7 March) and at Abrahamskraal (10 March) in stopping the advance of the vast British force. President M T Steyn of the free State and General C R de Wet tried to organize a spirited defence of their capital, but the demoralised burghers continued to retreat. On 13 March 1900, Roberts's army occupied Bloemfontein. The British army's further advance from the Free State capital was delayed for six weeks to enable Roberts to replenish his supplies and to rest his troops and horses. Shortly after his entry into Bloemfontein, Roberts issued a proclamation in which he promised burghers who surrendered voluntarily that they would be allowed to return to their farms. During the following two and a half months, more than 4,000 Free Staters voluntarily laid down their arms (although some of them subsequently rejoined the commandos). At the beginning of May 1900, Robert's army resumed its advance northwards and on the 27th of that month, the vanguard crossed the Vaal River. Four days later Johannesburg was occupied and British troops entered Pretoria on 5 June 1900. Battles at Diamond Hill (or Donkerhoek) outside Pretoria on 11 June, and at Bergendal (or Dalmanutha) near Belfast on 27 August, did not stop the British columns driving the vastly outnumbered Transvaal commandos before them. After a siege of 217 days, Colonel B Mahon and Lieutenant H Plumer relieved Mafeking on 17 May 1900. News of the relief of Mafeking led to extravagant celebrations in Britain. The word 'maffick', meaning to 'exult riotously' was coined at this time, and Baden-Powell became a popular hero. Buller, moving cautiously northwards from Ladysmith, occupied Volksrust and Standerton before the end of June 1900, and on 4 July, he linked up with Roberts's army at Vlakfontein. The Free Staters suffered a further serious blow on 30 July 1900, when General Marthinus Prinsloo surrendered with more than 3,000 men to General Archibald Hunter in the Brandwater Basin. Steyn and De Wet managed to escape northwards. The aged President Kruger crossed into Mozambique, and in October 1900 went to Europe on the Dutch warship, the Gelderland, which had been sent by Queen Wilhelmina of the Netherlands to rescue him. Roberts's army reached Komatipoort on 25 September 1900. The British annexation of the Orange Free State, which became known as the Orange River Colony, was proclaimed on 24 May 1900, and on 1 September 1900, the British annexation of the Transvaal was announced. Roberts handed over his command to Kitchener and returned to Britain at the end of November 1900, firmly believing that the war was virtually over.